Open or Closed? the Pitfalls of a Cookie-Cutter Rhinoplasty. New techniques always emerge which supplant the old. The same is true with the plastic surgical procedure called rhinoplasty, or in common parlance, nose job. 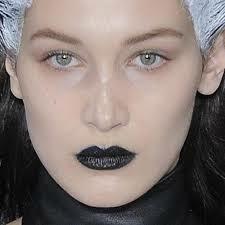 A nose is basically composed of three materials: overlying skin with associated fat, bone and cartilage. in selected cases, “defatting” the skin to allow the shape of the cartilages and bone to “shine through”. In order to perform the rhinoplasty, the surgeon must gain access to the underlying bone and cartilage through either through a closed or open technique. The former involves making incisions confined to within the nostrils and performing the surgery through the limited exposure that these incisions thus provide. 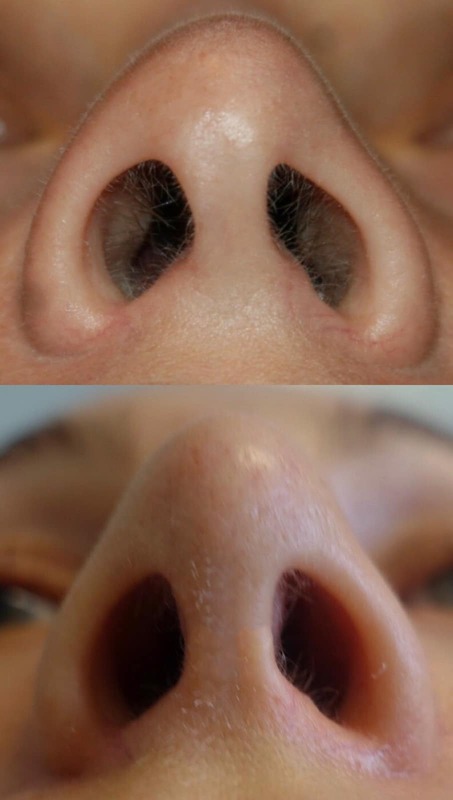 The latter, open technique, involves making the same incisions within the nostrils but joining them across the columella (the fleshy partition that separates the left and right nostril at the base of the nose). 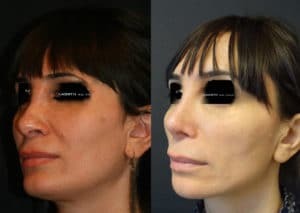 I am frankly surprised and amused that in 2017, some plastic surgeons still insist that the closed technique, when “performed properly”, provides equal or even superior results than those obtained with an open one. These same surgeons cite a few old masters of closed rhinoplasty from the 1970s and 80s to support their contention that the closed method is superior. However, the best results from these old Masters do not parallel those obtained from top rhinoplasty surgeons today. Whether you like it or not, progress is inevitable and the new masters of today produce better results than the masters of yore. I recently attended two conferences hosting some of the top thought leaders in rhinoplasty surgery. 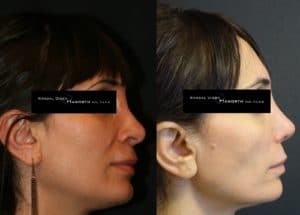 As expected, there was not one expert in the room who would consider closed rhinoplasty an option to achieve the delicate and precise results expected by their patients. Indeed, even in their hands they felt that a closed rhinoplasty generally leads to a subpar result. Imagine having to work on the engine of your car only through the left and right front wheel wells. Without opening the hood to gain full unimpeded access to the engine, your ability to effectively work is exceedingly hampered. 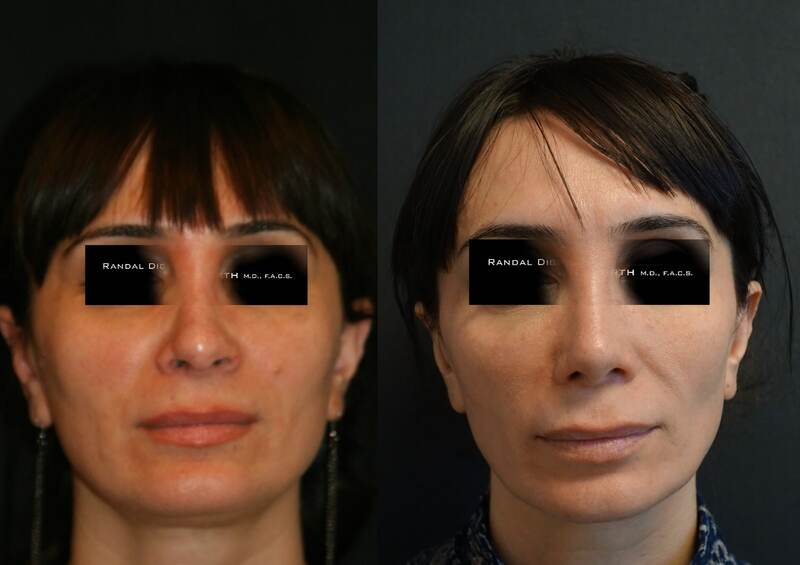 The results of any plastic surgery should be measured by the end visual result and not by the process to achieve it. Those who promote closed rhinoplasty as better invariably cite less swelling and no potentially visible scar as their main selling point, but this is a fallacious argument. When properly performed, as a top Beverly Hills rhinoplasty expert, Dr Randal Haworth has seen minimal to no difference in postoperative swelling between the open and closed methods and the scars essentially become invisible whether you are a young model or a 70-year-old person. The proponents of closed rhinoplasty proudly display their early smooth and symmetrical results as being superior. However, in the early postoperative period, it is the very swelling that the closed proponents claim is not there that may be masking inaccurate nasal construction below. 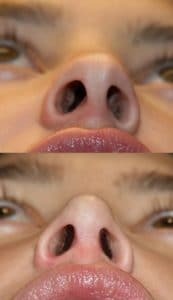 This can be seen in the many examples of famous noses heralded in their early postoperative period but turn out poorly constructed when their swelling dissipated. Generally avoidable deformities such as inverted V deformities, pinched tips and crooked noses become unavoidably visible no matter how much makeup contouring and good lighting is available. Note the lack of continuity between the upper bony portion of the nose and the lower cartilaginous portion. An obvious “inverted V” deformity and pinched tip do not help the situation. When precise control over the shape and symmetry of the nose is required as well as control over the subtle light reflexes and shadows embodying the beauty of a nose, nothing beats an experienced surgeon with a precise touch, an aesthetic sensibility and an open rhinoplasty technique.